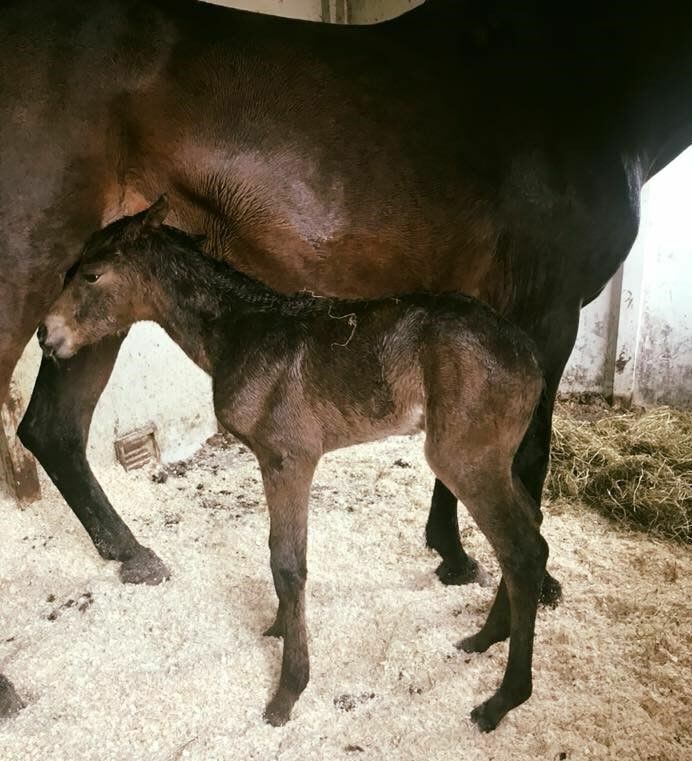 So after much anticipation the arrival of our beautiful filly foal “Annie” finally came on 11th May at 7:30am, with correct confirmation and a lot of attitude and presence this bay filly by ‘Presidential Ball’ has turned a lot of heads and won a lot of hearts already. It’s so great to see mother and foal doing so well and in excellent condition thanks to Bluegrass Horse Feeds Stud Mix. We have now jumped the second RDS qualifier which was held at Barnadown Equestrian Center in Wexford. Pleasure Ride was clear in the first round of the 125/130m Young Rider class and was very unlucky just rubbing the first fence in the second round as he is a new horse to me this year I am very pleased with the progress we are making so far. In the 135/140m young Rider class it was tough jumping, the course was testing but I knew Quick Jack would love the massive big grass arena and would jump well, and he sure did. Jumping three fabulous clear rounds and finishing in fifth position it was a bittersweet result as only four combinations qualify at each of the 135/140m qualifiers, so we regroup and start again with preparations for the next RDS qualifiers on 1st July at the Meadows Equestrian Centre. To my Kind sponsors it would not be possible for me to compete successfully without the best horse feed and nutritional support given to my team and horses.